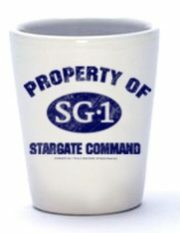 This is a white ceramic shot glass, bearing the group 1 logo from the hit Sci-Fi Channel television series Stargate SG-1, surrounded by the words “Property of Stargate Command”. 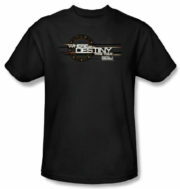 This is a black t-shirt bearing the image of the name and gate logo around the words”Where will Destiny take you?” from the hit Sci-Fi Channel television series Stargate Universe. 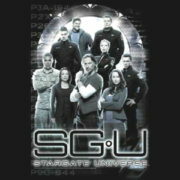 This is a black t-shirt bearing the image of the Stargate with the main cast inside the ring in color, as seen on the hit Sci-Fi Channel television series Stargate Universe, with the show name and logo above it. 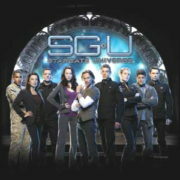 This is a black t-shirt bearing the image of the Stargate with the main cast inside the ring, as seen on the hit Sci-Fi Channel television series Stargate Universe, with the show name and logo below it. 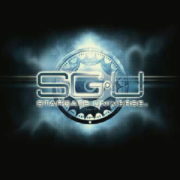 This is a black t-shirt bearing the image of the Stargate with planets inside the ring, as seen on the hit Sci-Fi Channel television series Stargate Universe, with the show name and logo over it. 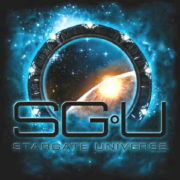 This is a black t-shirt bearing the image of the Stargate with gate codes beside it, as seen on the hit Sci-Fi Channel television series Stargate Universe, with the show name and logo over it. 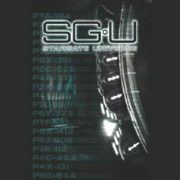 This is a black t-shirt bearing the image of the name and logo ICON from the hit Sci-Fi Channel television series Stargate Universe. 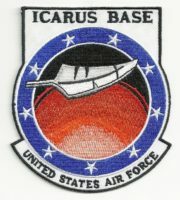 This is a 3 .75″ wide x 4.25″ high embroidered patch, seen on shoulders of the uniforms of the military personnel on the hit TV sci-fi series Stargate Universe. This was the secret base that was destroyed in the pilot episode. 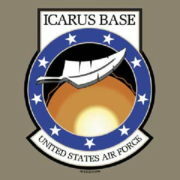 This is a safari green/tan t-shirt bearing the image of the ICARUS Base logo from the hit Sci-Fi Channel television series Stargate Universe. 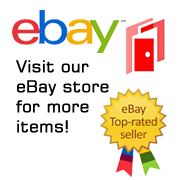 This was the base that was under attack on the pilot episode.